Today I had another speaking engagement. And it happened again. Nearly every time I attend a function and I speak and then I have the pleasure of listening to others involved in the Ag industry speak I get the feeling. The feeling where I need a real, full-time career. It is seriously so motivating to be in a room of people that feel so passionate about the Ag industry and it’s always so encouraging to continue to do what I do. But, then something else happens. I come home and I squeal my “Hi, Hi, Hi, Hi, Hi’s” at my little Ella Bella and her little face lights up and she comes running for me and then I remember I do have a full time job. I may not be called, Executive or Mrs. or CEO or Dr. or any of the things I have sometimes dreamed of for myself. But, I am so happy when I think of everything we went through that the one dream I have had come true is to go by Mommy. And, just because I can…I wanted to share these photos. 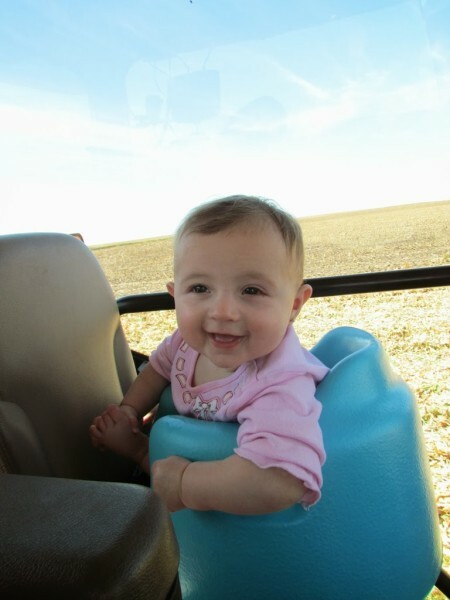 The first is last year’s harvest picture of my little grain cart rider and the second is this year’s photo. 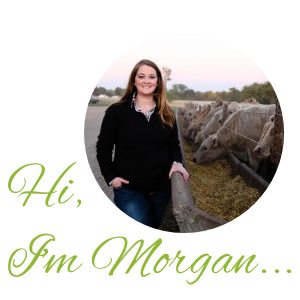 It is amazing how motivated and encouraged I can feel after leaving a great meeting within the Ag industry. But, I will tell you what, nothing is more motivating and encouraging than seeing this little girl’s adorable smile. It is such a good feeling of unconditional love and amazing how my true motivation isn’t always in a meeting, but her smiling face. She keeps me motivated to always be driven, hard working, loving, and passionate about the Ag industry, but more importantly about life. 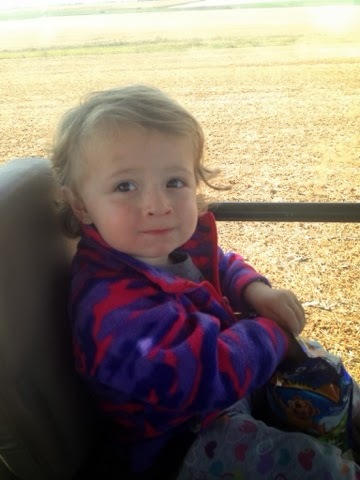 So, forgive me if sometimes I post more about being a Mommy than a farmer’s wife. I just can’t help it. Life as a Mommy is just too rewarding not to.